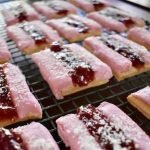 The Iced VoVo biscuit has been an “Australian icon since 1906” according to Arnott’s, the company that’s responsible for the mass production of this biscuit. It’s certainly been a favourite in my family since I can remember. 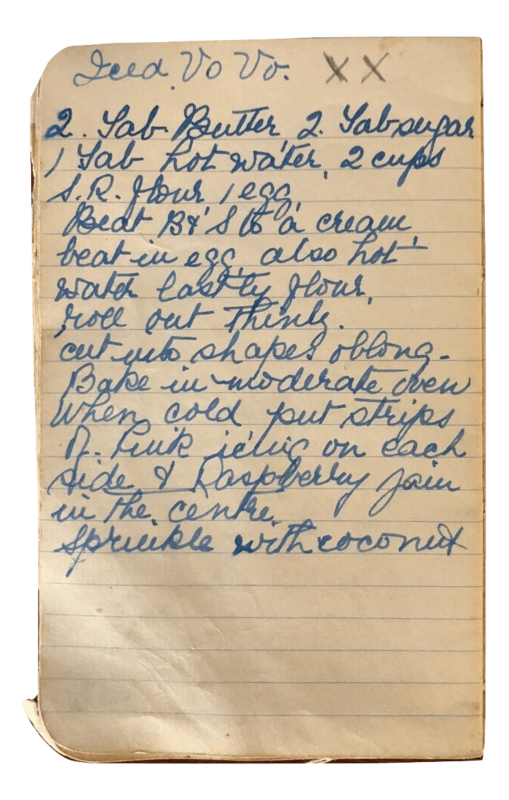 And Nana Ling marked this Iced VoVo recipe with a couple of crosses, suggesting it was popular in the family long before I was born! Of course, we’re not the only Australian family with a soft spot for Iced VoVos. Even former PM Kevin Rudd acknowledged their place in Australian hearts when he mentioned treating his staff to a “cup of tea and an Iced VoVo” before starting the work of governing the nation the next day. Apparently that comment gave sales a nice little boost, too. Let’s talk about the end product first. 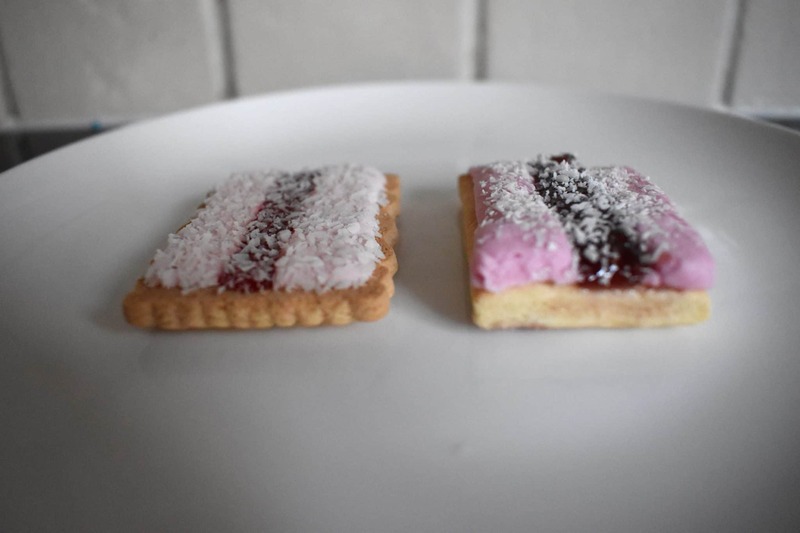 A homemade Iced VoVo vs an Arnott’s Iced VoVo… well, there’s really no comparison. The homemade version is simply wonderful. 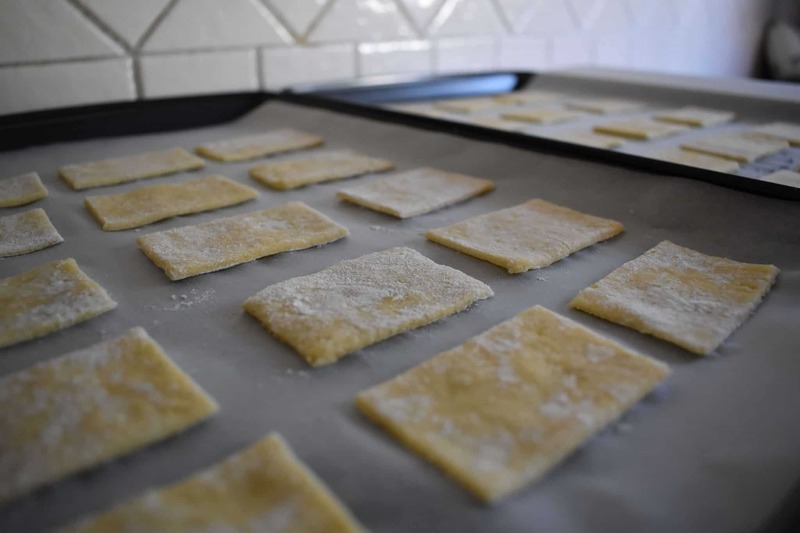 It tastes like a whole packet of the store-bought version packed into each little homemade biscuit. Okay, so moving on to the process of cooking up a batch of these little beauties. It’s a messy and, at times, painstaking process. There’s coconut, jam, sticky marshmallow icing… and then you have to try to make it look neat! Arnott’s and their manufacturing machines definitely win out here. But if you’re keen, it’s definitely worth the effort. Just be prepared to make some mess. 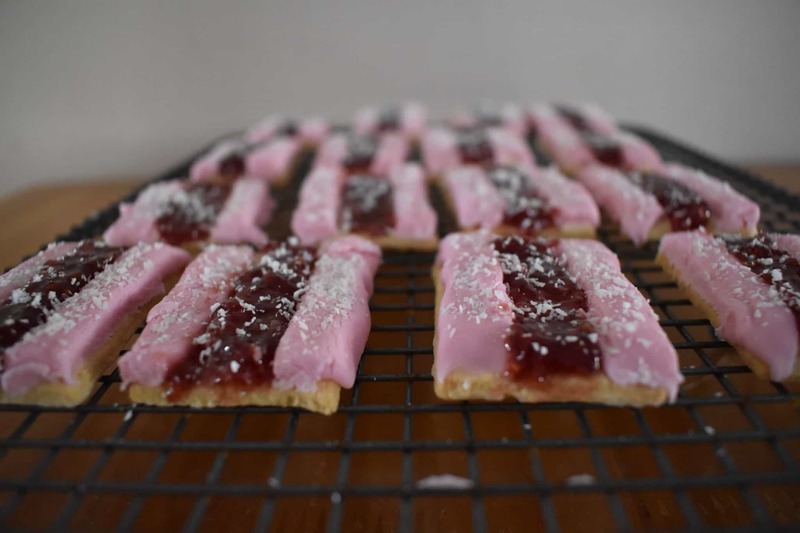 And make sure you have some piping bags on hand – they’re a must when adding the pink stripes that give Iced VoVos their famous look. Add egg and continue to beat for one minute. Add hot water and beat until blended. Sift flour into mixture and stir with a knife until blended. Form mixture into a large ball with your hands. 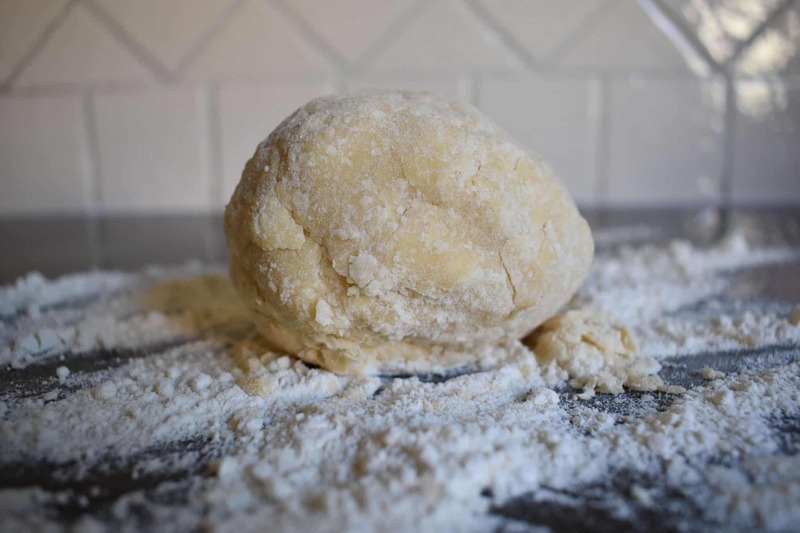 Handle the mixture until it forms a dough but don't knead. 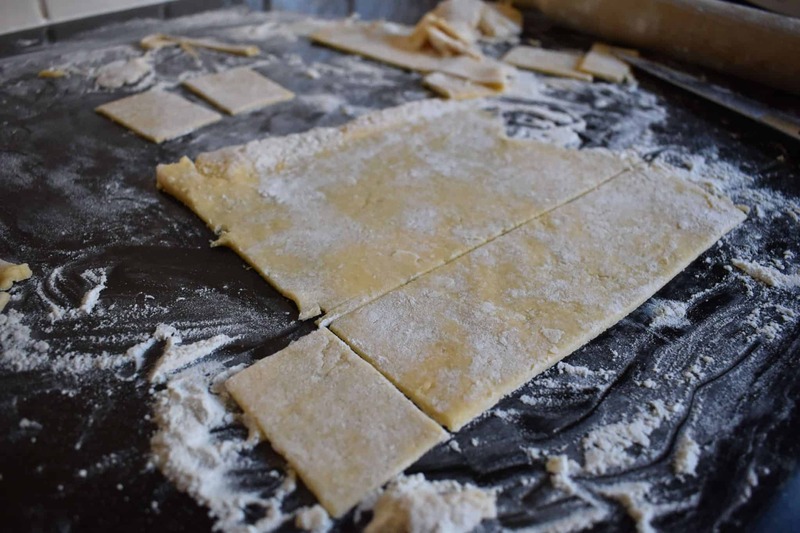 Place mixture onto a floured surface and roll out until very thin (about 2-3 mm thick). 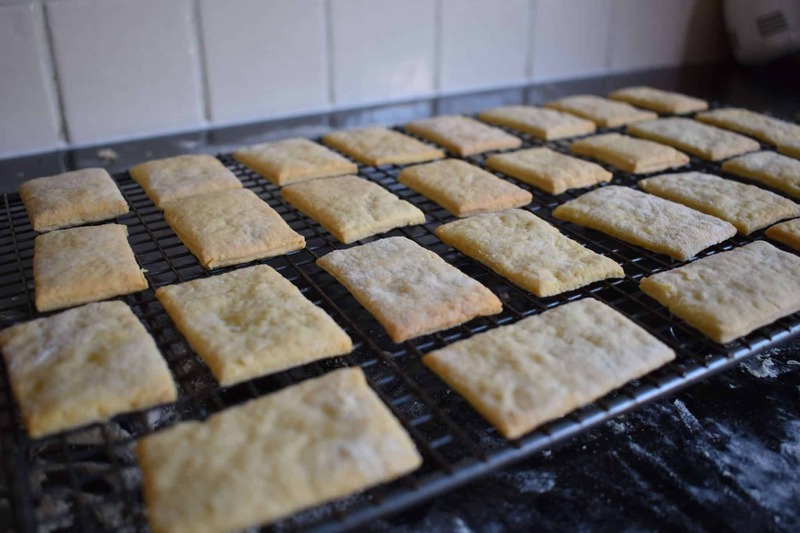 Cut into 6cm x 4cm rectangles and place on a tray lined with baking paper. Bake in a moderate oven (160 degrees celsius in a fan forced oven) for 10-12 minutes. 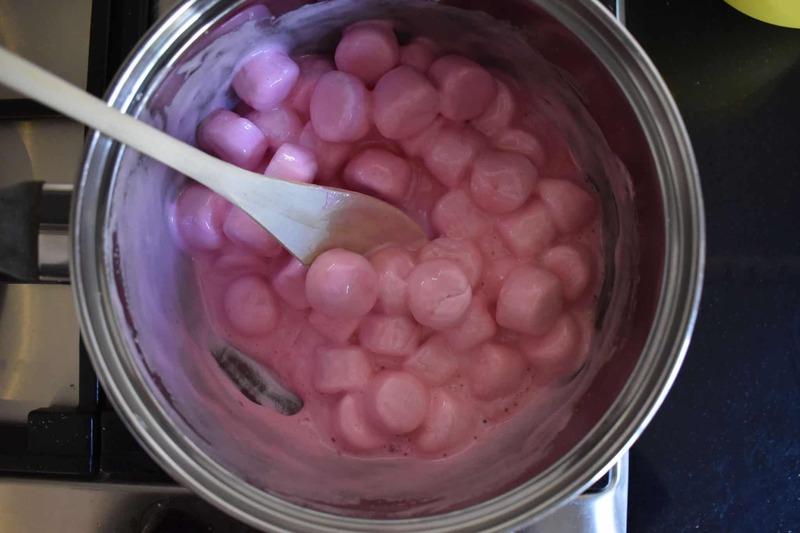 Place marshmallows and water in a saucepan and heat over low heat while stirring. Once the mixture has melted completely, take off heat and stir in icing sugar. 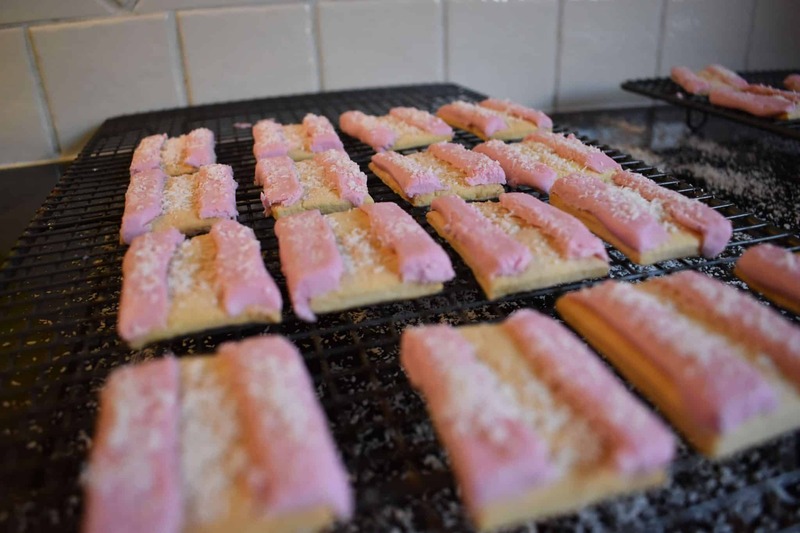 Put icing mixture into a piping bag and pipe a stripe down each side of the biscuit. 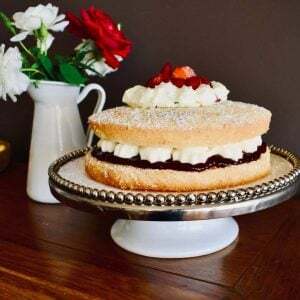 Sprinkle coconut on the icing and flatten slightly with a knife. Once the mixture has set a little, use a knife to tidy up the pink icing stripes. 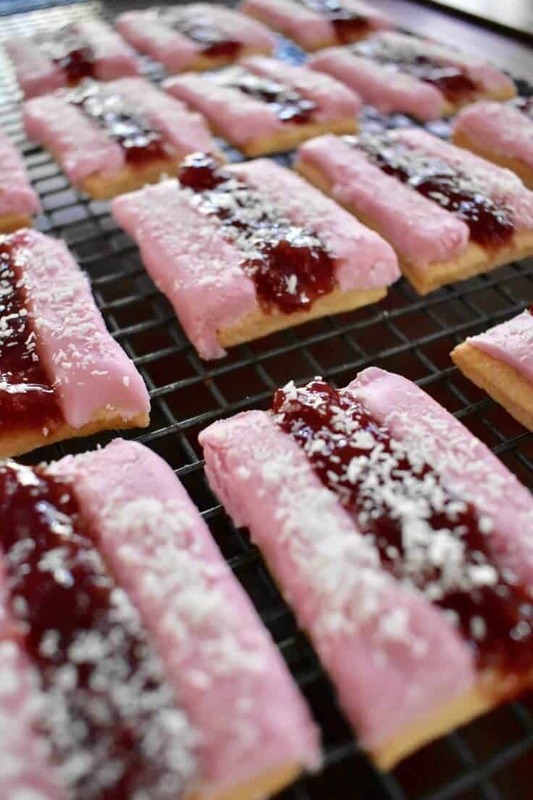 Using a piping bag again, pipe raspberry jam down the centre of each biscuit then sprinkle with a little coconut.